Wedekind's play about adolescent sexuality is as disturbing today as when it was first produced. 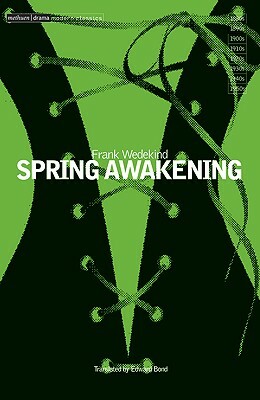 "Spring Awakening "was written in 1891 but had to wait the greater part of a century before it received its first complete performance in Britain, at the National Theatre in 1974. The production was highly praised, much of its strength deriving from this translation by Edward Bond and Elisabeth Bond Pable. For this edition the translator, Edward Bond, has written a note on the play and a factual introduction to Wedekind's life and work.